Today I’m continuing my hunt for Watch List shares with a look at AB Dynamics (ABDP). ABDP was established in 1982 when founder Anthony Best started as a design consultant on mechanical vibration and vehicle suspension for the motor industry. 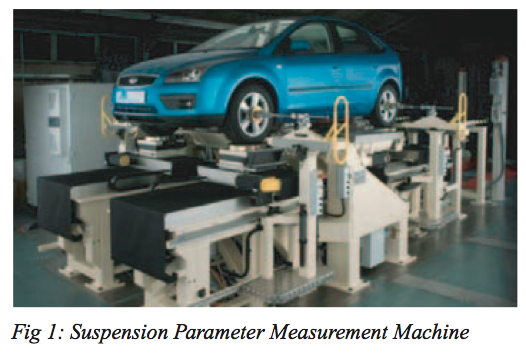 These days ABDP designs and manufactures a range of vehicle-test systems, including steering machines, driving robots, crash-target vehicles and power-train software. ABDP floated in 2013 and Companies House has annual reports stretching back to 1995. The late 90s saw revenue bob between £1m and £2m, after which ABDP’s finances became unclear as only abbreviated accounts were then filed. However, the flotation document reveals revenue of £2.6m was reported for 2010, with £6.5m reported for 2011 and £8.9m reported for 2012. The top-line figure then advanced to £16.5m by 2015. As such, the group’s major progress has been achieved only recently and its ‘proven’ track record is therefore quite short. The sole exceptional charge covered the costs of the flotation. ABDP’s flotation document and subsequent annual reports do not disclose any acquisition expenditure, while the balance sheet does not carry any goodwill. The latest balance sheet displays share capital of just £2.7m versus earnings retained by the business of £10.8m. However, I note that £2.3m was raised through the flotation to support the company’s expansion during 2014 and 2015. ABDP has operated without debt for at least the last six years and the latest accounts carried cash at a healthy £8m. Some of the cash, though, has been earmarked for constructing a new factory that is 50% larger than the present facilities. I am pleased ABDP wound up its defined-benefit pension scheme in 2010 and is no longer on the hook for any retirement liabilities. A substantial proportion of ABDP’s cash flow has been absorbed into property, plant and working-capital requirements. I am not overly worried about ABDP’s capital expenditure. In particular, I am pleased there have been no capitalised development costs, while the amount spent on additional property and equipment looks more than justified given the group’s recent expansion. But on the working-capital front, changes in stock, debtor and creditor levels since 2011 have absorbed a total of £3.7m — which is a considerable amount when aggregate operating profit during the same time came to £11.0m. ABDP claims that all of the world’s top twenty motor manufactures use its products, and I have no doubt that such large firms have few worries about paying small suppliers late. All told, I’d hope to see ABDP’s cash collection improve in the future. The annual results for 2015 showed a very worthy 23% operating margin, while the prior three years saw at least 18% of revenue convert into profit. I presume such decent margins are achieved through: i) what ABDP claims to be the “performance, quality and reputation” of its systems, and ii); employing more than 40 bright engineers who are “dedicated to the development of products”. Furthermore, I imagine vehicle-testing systems are important pieces of kit for motor manufacturers — where incorrect test results could have enormous ramifications. As such, any decision to switch from an established supplier such as ABDP may not be taken lightly. Elsewhere, the accounting small-print shows revenue per staff member for the last three years has come in at around £250k — an impressive number that tells me the employees here are creating high-value products. The flotation document also confirms the ownership of a few patents. Return on average equity for 2015 was £3.3m/£12.0m = 27%. A very appealing figure, especially when the asset base includes a substantial amount of low-return cash. During the last five years, the return on average equity calculation has fluctuated between 15% and 35%. The aforementioned Anthony Best is ABDP’s executive chairman and is responsible for the group’s track record. Trouble is, that track record is almost 35 years long and, for the first 30 years or so, it seems the company struggled to report any meaningful financial progress. Mr Best turns 79 later this year and it appears to me he will one day hand over the reins to managing director Tim Rogers. Mr Rogers was appointed from outside the company in 2012 and his background is sadly more company management than hands-on engineering. Mr Best received a total of £80k and Mr Rogers a total of £200k last year — which look reasonable sums to me given the business advanced its operating profit by 41% to £3.7m. Mr Best sold a fifth of his family’s stake at the flotation, but continues to retain a 38% shareholding that’s currently worth £19m. Outstanding options represent less than 3% of the current share count. 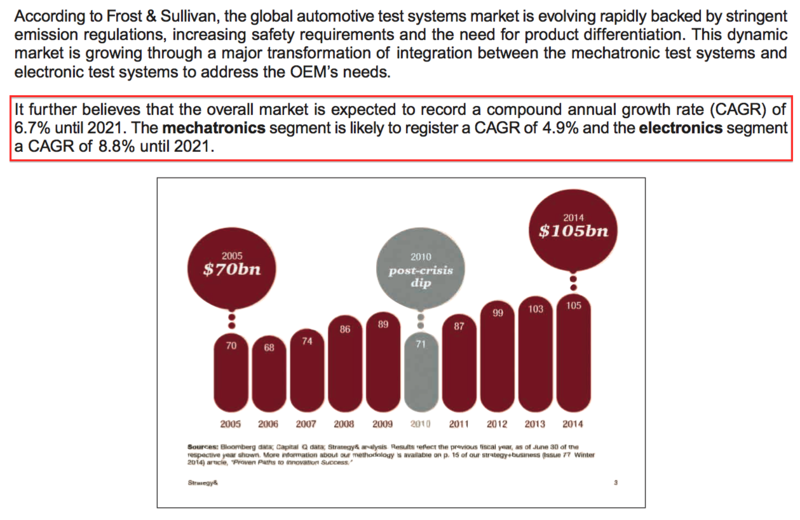 The market for vehicle testing systems is apparently forecast to grow at almost 7% until 2021. ABDP looks set to make good near-term progress, with November’s annual results declaring a “promising pipeline of orders”. Brokers have translated that optimism into revenue growing from £16.5m to beyond £18m for the current year. 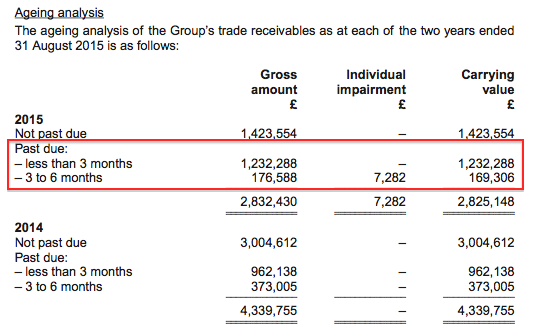 I reckon ABDP’s shares trade at about 13-14 times last year’s earnings if you adjust the £52m market cap for the £8m cash balance. I feel the current earnings multiple looks fair given the group’s recent expansion and immediate prospects. Mind you, I do wonder if ABDP’s longer-term growth will continue to be as smooth as it has been of late. Some of the group’s testing kit does sell for £1m-plus and large individual sales did prop up the top line somewhat during 2012, 2013 and 2014. So a sudden lack of large orders could hit profits hard. Indeed, I get the impression ABDP’s progress may be similar to that of fellow small-caps Latchways, Zytronic, Tristel and Plexus. Proprietary products at those firms could not prevent the occasional earnings mishap when a powerful and/or concentrated customer base decided to defer or switch its spending. All in all, my instincts tell me a better buying opportunity may occur with ABDP after a temporary profit setback. Meanwhile, the skimpy dividend supports a trailing yield of less than 1%. Is it worth watching AB Dynamics? To be honest, I’ve already had half an eye of ADBP since its flotation. However, the group’s sudden record of growth, its historic dependence on a few large customers, that awkward working capital and the age of Mr Best suggested to me it would be prudent to wait and see how the group developed. Well, I have since watched annual earnings double and the share price more than triple! Nonetheless, this business does appear to enjoy a decent industry position and products that may be hard for others to replicate. What’s more, potential demand for electric/driverless cars and the aftermath of the Volkswagen emissions scandal may provide the company with useful business in years to come. Mix in the cash-rich accounts and there is enough here to justify a slot on my watch list. That said, I confess I do not have as much confidence with this business as I do with larger watch-list engineers Renishaw and Goodwin. The difference is due mainly to ABDP’s much shorter track record and it having to hire a managing director from outside the business. Disclosure: Maynard owns shares in Tristel and does not own shares in AB Dynamics. This entry was posted in AB Dynamics, My Watch List and tagged AB Dynamics, ABDP on January 26, 2016 by Maynard Paton. Thanks for the comment. Well, you do have to be calm and measured in this rocky market :-) I think if you are looking for value, then it is often the more depressed share prices that offer it. That is not to say a share price at its high can’t be a bargain. I think it is theoretically impossible to mix assessing share-price action and fundamentals-based investing. Often the share price will say one thing and the fundamentals another, and those who mix both could be buying and selling at the wrong time for the wrong reasons. The very best fundamental investors never bother with charts and there are no super-rich chartists that I know of (are there any chart-based funds?). Stockopedia has enjoyed great results so far with its NAPS etc, but if investing were as simple as following an algorithm dependent on third-party data, the richest investors would be those with the best computers and software. And that is not the case.